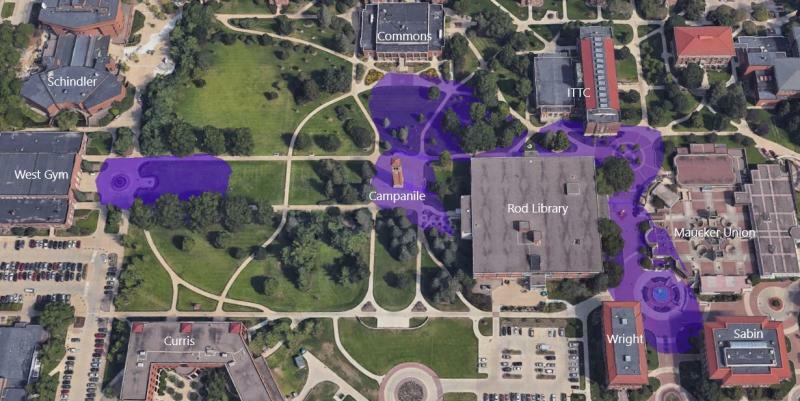 Information Technology has deployed the Eduroam wireless network to select outdoor locations on campus. Work continues to install access points in places where students, faculty, and staff congregate outdoors. The following map shows the current coverage area in purple.